A group of Baltimore students are calling on the school board to pull out of its agreement to purchase energy from a planned plant that would burn waste within a mile of two schools in one of the most polluted neighborhoods of the city. Students from Benjamin Franklin High School have reignited a debate over the Fairfield Renewable Energy Project — what the students and environmental advocates consider an incinerator — that was approved in 2010 and would be the largest of its kind in the nation. On Saturday, May 31, the United Workers together with the Northeast Housing Initiative spoke-out against housing injustice. Speakers shared stories about their challenges with affording rent, foreclosure, homelessness, vacants, and the need to build unity for more equitable housing. 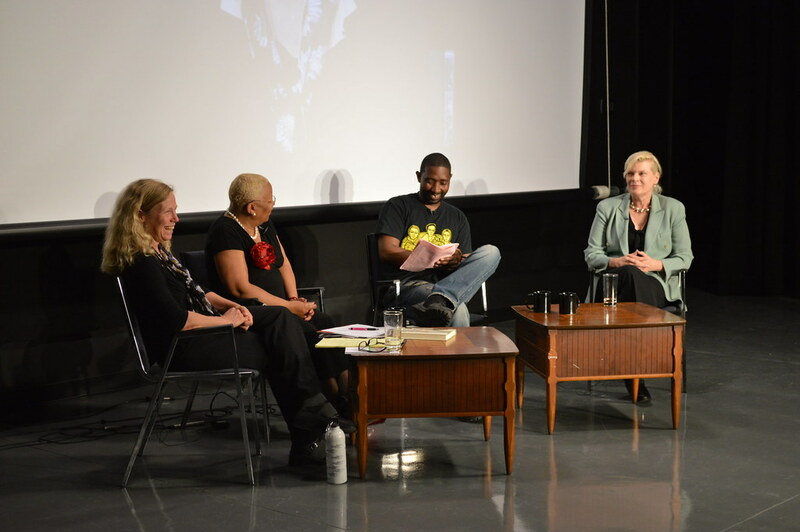 Check out the pictures below and stay tuned to audio from the Speakout on our podcast. Students strage a show to urge Baltimore city schools to end its association with Energy Answers’ planned trash-to-energy incinerator. On Tuesday, May 27, students, parents, and teachers from across Baltimore presented to the Baltimore City School Board on a proposal to build the nation’s largest incinerator in South Baltimore. It was a powerful event. Thank you to everyone who made it out! For the past two years, students from our Free Your Voice Human Rights Committee at Ben Franklin High School, in Curtis Bay, have been researching the plan to construct the incinerator less than a mile from their school. Through their research they learned that in 2011 Baltimore City Schools, together with 21 other public entities in Maryland, signed a contract to purchase energy from the incinerator. At the May 27 meeting, the students asked the School Board to begin a process to withdraw Baltimore City Schools from the contract. As a first step in this process, they invited school board members to join them on a tour of their neighborhood. The students also showed one of several videos (below) they have produced on the issue and talked about the positive alternatives to the incineration project. On Tuesday, May 27th Free Your Voice traveled to the Baltimore City school board meeting to let them know that plans for building the nation’s largest trash incinerator less than a mile from several schools in Curtis Bay is failed developed and that we need to work together to demand Fair Development and stop its construction. During the student presentation the brilliant sister duo, Leah N Drey (formerly Double Impact), performed the Free Your Voice Anthem. Below is a video of their powerful performance. We had a great time at the Economic Democracy Conference. United Workers leader Michael Coleman spoke at the opening plenary, and we helped to organize workshops on affordable housing, community land trusts, renewable energy, and participatory budgeting. You can check out some of our pictures below, and stay tuned to more media from the weekend from both the United Workers and Its Our Economy. Join us for an evening of media, music, refreshments, and more! On May 1, the United Workers Media Team is officially launching the United Workers “End Poverty Radio” podcast. We’ll also be showcasing videos, our new podcast, and a series of photo essays with United Workers leaders. Local artists will perform, including Double Impact and DJ / United Workers leader Emanuel McCray. Join our Facebook Event Page. This exciting moment is the culmination of many years of work in which the Media Team has been documenting the untold stories that thousands face every day across Baltimore and Maryland. It is also the close to our fundraiser to raise money for the media team to acquire new equipment. Check out our Razoo Fundraiser page and watch our video (below), please consider donating, and spreading the word.